Because of our Hixson-Lied endowment, we are able to provide unique opportunities outside of class. You will connect with guest artists, scholars, and designers that we bring to campus each year, and may receive funding support for travel and exhibitions. 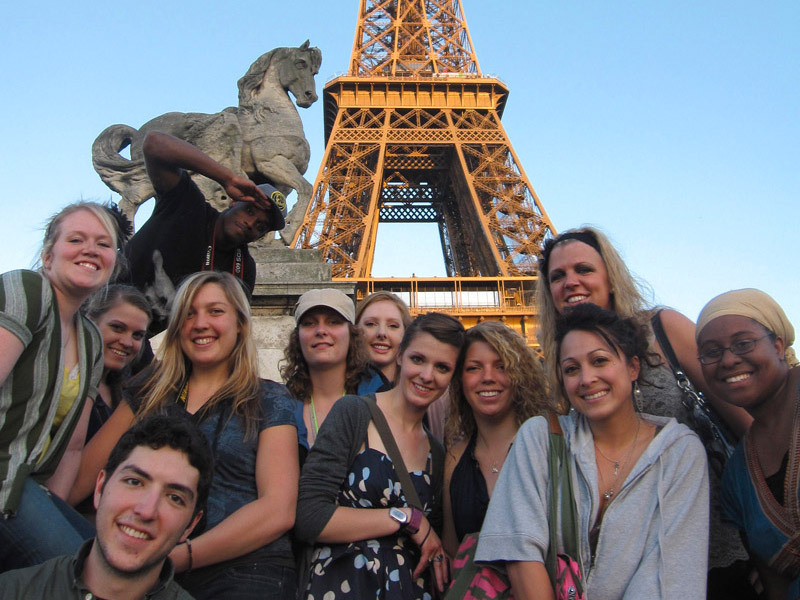 Visual Arts in London and Paris is offered by the Department of Art & Art History and counts toward fulfilling an Area G Arts requirement and is considered 400 level studio credit. The trip has been carefully structured to expose students to art and architecture of various cultures, time periods and movements emphasizing historical context, archetypal themes and comparisons and contrasts between cultures and time periods. Participants spend an average of six to eight hours in museums every day. The MEDICI Gallery is located on the first floor of Richards Hall. It functions as an exhibition laboratory and is entirely run by students. The gallery typically features experimental and improvisational shows that are up for a short time. Sandra Williams works with UCARE summer students in her Richards Hall office and studio. UCARE and SRP (Summer Research Program) students for Graduate Studies. As an undergraduate research assistant, you’ll interact closely with a faculty advisor to conduct research on a topic you propose. Together, you and your faculty advisor will draft a research abstract, outlining the expectations the faculty advisor has of you while you hold the assistantship.